After ending his season prematurely because of injury, Thor Hushovd has recently started his training again, having been given the permission by the doctors. When asked about the news Hushovd agreed to that and said it was wonderful for him to be on track again. Thor Hushovd went through a disastrous time in 2012. BMC Racing Team found an explanation for his poor performance this season which is because Hushovd suffered from illness with a virus and muscle swelling. Max Testa, the physician of the BMC Racing Team, conceded that the news was true. Hushovd went through some medical tests at the Salt Lake City Health and Fitness Institute and the report said about the virus attack. Testa also stated that the tests were performed to make clear why Hushovd wasn’t able to cope up with his routine exercises. As he was not able to tolerate the rigid exercises, he was having problem with his performance all along the season. A symptom of post-viral infection with muscle inflammation has been detected at the end of the tests. It is also reported by Testa that he is currently under medication and his condition is getting better. It is expected of Hushovd that he will be completely fit before the next season. Hushovd is really happy to see his progress and wants to train hard for the next season. He also said that he has followed every suggestion that doctors gave him and this is why he is regaining his strength so fast. It had been a real tough time for him and now he wants to forget all about it and keep his focus on the next season. Thor Hushovd will be joining Team BMC in December after completing the final tests. He is optimistic about the next season as he says that he can feel the difference. The injury had cost him the whole year and now he will do whatever needed to rise to his peak form. Thor Hushovd had a tough time this year. BMC Racing Team recently gave an explanation for his poor performance this season. The basic reason, according to them, is that Hushovd suffered from a virus attack and muscle swelling. The physician of the BMC Racing Team, Max Testa conceded that the news was true. Hushovd went through some medical tests at the Salt Lake City Health and Fitness Institute and the report said about the virus attack. Testa also stated that the tests were done to know the reason why Hushovd wasn’t able to cope up with his routine exercises. As he was unable to get on with the scheduled exercises, he was having problem with his performance all along the season. A symptom of post-viral infection with muscle inflammation has been detected at the end of the tests. Testa also asserted that he is currently under medication and his condition is improving. The BMC Team thinks that Hushovd will be completely fit before the next season. Thor Hushovd, the former world champion, had a disastrous season this year, restraining himself from taking part in most of the tournaments. Apart from pulling himself out from the Giro d’Italia after five rounds, he also skipped Tour of Poland. He finished fifth at Paris-Nice on a stage and that was his best performance this year. Now Hushovd is relaxed to know the reason of his poor show up. He asserted that his confidence level fell down as a result of this weakness and this caused him a severe problem. On being asked about his schedules for the upcoming season Thor Hushovd asserted that he is now totally aware of his condition and is expecting to come back strongly. He is likely to start his training very soon. 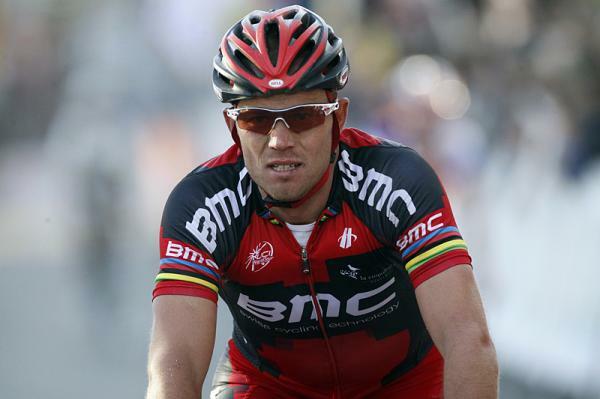 The BMC Racing Team is keeping faith in Hushovd and they think that he will reach his peak form when the 2013 season starts. Thor Hushovd hasn’t had a good season this year. BMC Racing Team has found an explanation for his pitiable performance this season. It has been detected that Hushovd was ill with a virus and muscle swelling. Max Testa, the physician of the BMC Racing Team, told that the news was true. Hushovd went through some medical tests at the Salt Lake City Health and Fitness Institute and the report said about the virus attack. Testa also stated that the tests were done to make clear why Hushovd wasn’t able to bear with his routine exercises. As he was not able to tolerate the rigid exercises, he was having problem with his performance all along the season. A symptom of post-viral infection with muscle inflammation has been detected at the end of the tests. It is also reported by Testa that he is currently under medication and his condition is getting better. 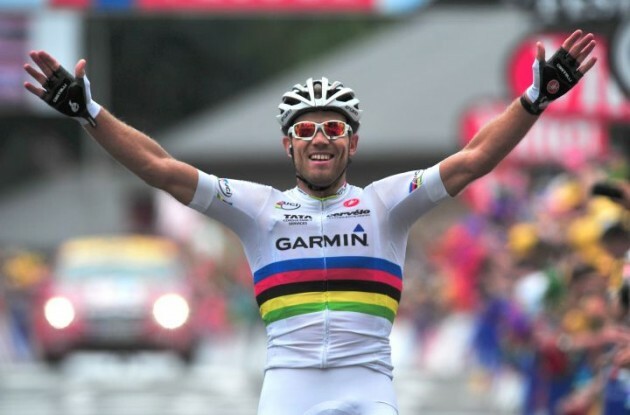 It is expected of Hushovd that he will be completely fit before the next season. Thor Hushovd, the former world champion, had a disastrous season this year as he sidelined himself from most of the tournaments. Apart from pulling himself out from the Giro d’Italia after five rounds, he also didn’t manage to complete Tour of Poland. He came fifth at Paris-Nice on a stage and that was his best performance this year. Now Hushovd is relaxed to know why it went wrong for him. He asserted that his confidence level fell down as a result of this weakness and this caused him a severe problem. Being asked about his thoughts on the upcoming season Thor Hushovd states that he is now totally aware of his condition and is hoping to come back strongly. He is likely to start his training on October. The BMC Racing Team is keeping faith in Hushovd and they think that he will be back to his natural form when the Classics seasons of 2013 starts.